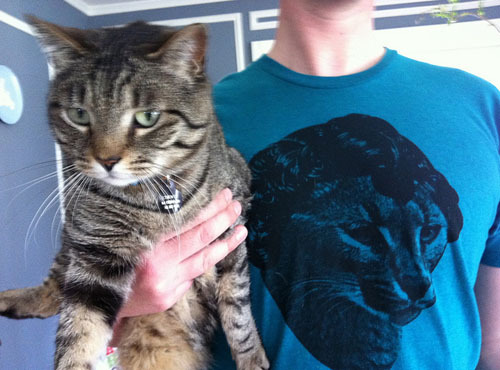 Today for Caterday, Stewie pauses with Aaron's new t-shirt. A kitty in a toupee. Bah-hah!